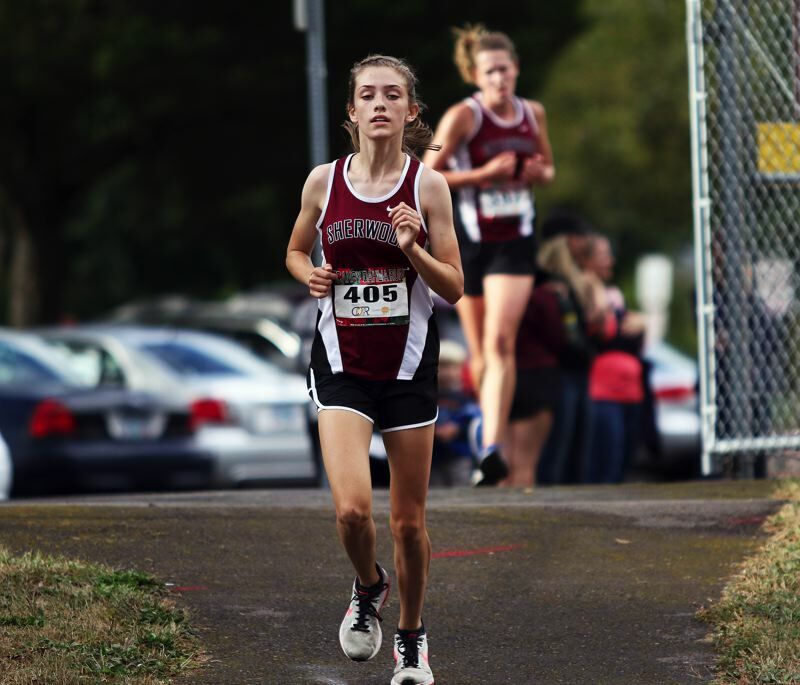 SHERWOOD — The Sherwood High School cross country teams were looking to make a good first impression in their Pacific Conference debut. Well, the Bowmen squads certainly seemed to reach that goal — in dominating fashion. The Sherwood teams opened their Pacific Conference dual meet schedule by running past Glencoe in a conference race held Sept. 12 at Sherwood High School. "We did amazing," said Sherwood junior Madi Ramos, who ran to victory in the varsity girls race. "We're all best friends. I love them so much. We train together every day, and we're always pushing each other. It's awesome." With Ramos helping lead the way, the Sherwood girls had a perfect score in the meet with Glencoe, beating the Crimson Tide by a 15-50 margin. The Sherwood boys were nearly as good, as they topped Glencoe by a 15-47 score. "It was good," said Sherwood senior Henry Giles, who triumphed in the varsity boys race. "We knew we'd just kind of chill at the first part of the race. We kind of planned for that." "It was pretty good," said Sherwood junior Jaron Homer, who was a close second to Giles. "Last week, we had a meet (a non-league dual with Barlow) and we didn't do as well as we wanted to. But this was better. We're still in it." Giles won the varsity boys race in the conference-opener with a time of 16 minutes, 13.4 seconds for the 5,000-meter course. "That was probably my best race of the season," he said. "I was injured the last part of the summer, so it was good for me to get back to feeling good about running." Homer took second place in a time of 16:22.5. There were a host of other Bowmen behind them. Sherwood junior Thomas Osborn ran to third place in a time of 16:36.0. Sophomore Ismael Alvares was fourth at 17:00.5, freshman Jeffery Rogers was fifth at 17:14.9, freshman Ethan Sturdivant was seventh at 17:27.0 and junior George Westover was ninth at 18:07.6. "I think we ran a smart race," Giles said. 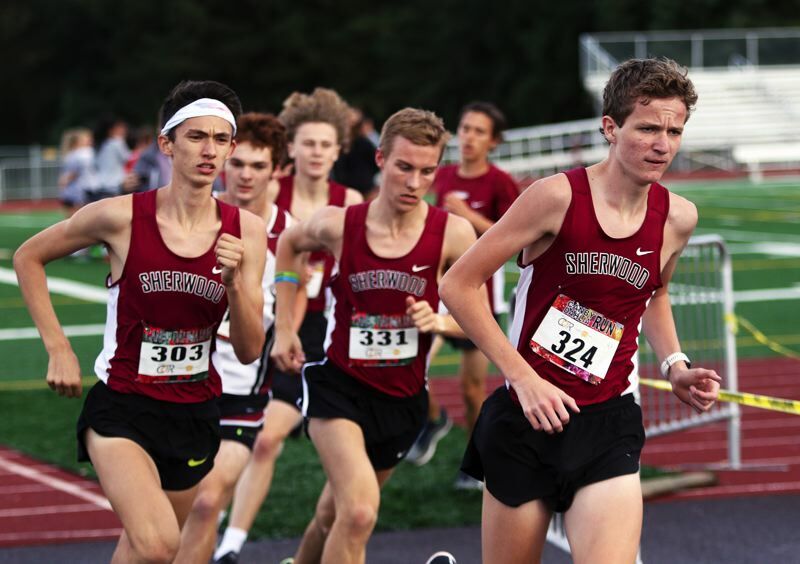 For the Sherwood boys, who won the Three Rivers League district team title a year ago, the results of the conference-opener with Glencoe has them optimistic about the rest of the season. "We want to carry the momentum from last year," Homer said. "We want to keep it going. We lost a couple seniors, but the freshmen this year are really stepping up. A lot of those guys, it's their first year, so, once they get going, it's going to be good." "Hopefully, as a team, I want us to go undefeated this year (in conference)," Giles said. "I'm excited to go against this competition. A lot of new guys I haven't run against before." 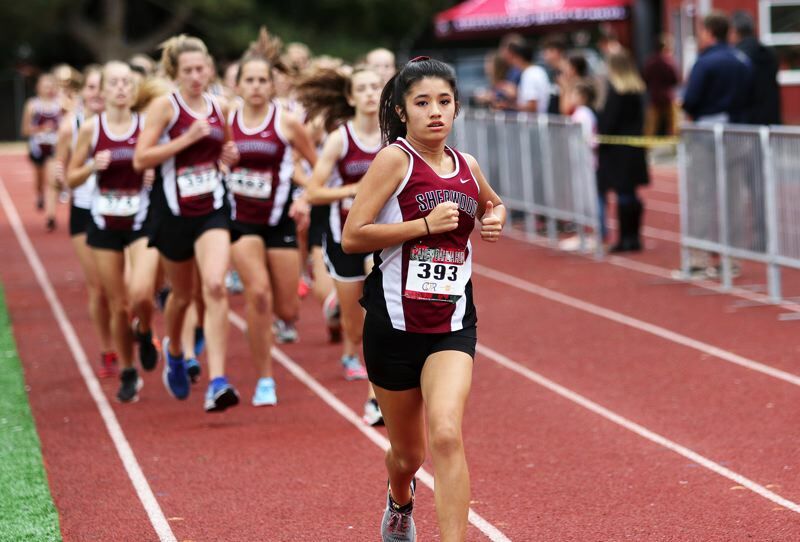 In the varsity girls race, Ramos took charge early, and seemingly never let up, running to victory in a time of 20:36.0. "That meant so much," she said of her win. "I feel so honored to race with all of these amazing girls. "I stayed focused, and I envisioned my race. I'm really happy with my results." Ramos was followed by a whole back of Lady Bowmen runners. Sherwood sophomore Kari Eddington ran to second place with a mark of 20:53.3. Also for the Lady Bowmen, senior Jacqueline Angelel was third at 21:12.6, sophomore Brooke Smith was fourth at 21:14.4, sophomore Maia Oliver was fifth at 21:37.7, senior Emily Pannell was sixth at 21:45.3 and junior Vanessa VanWinkle was seventh at 21:53.7. The Sherwood girls, like the boys, now have high hopes for the rest of the season. "I'm hoping we can go to state this year," Ramos said. "This was so much fun. I love racing." 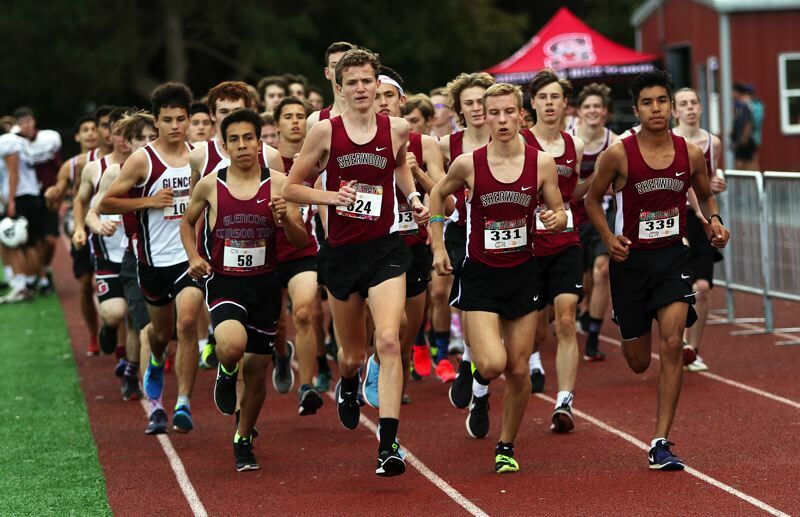 The Sherwood teams will be back in action on Sept. 21, when they run at the Meriwether National Cross Country Classic, to be held at Meriwether National Golf Club in Hillsboro. The varsity girls race is set to start at 5 p.m., with the varsity boys race to follow at 5:30 p.m.